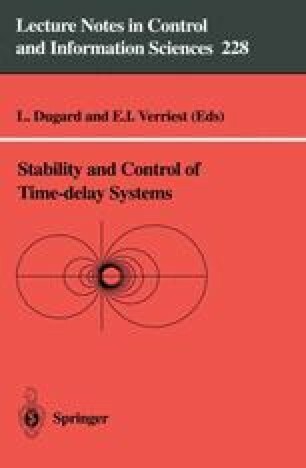 This chapter focuses on the problem of asymptotic stability of a class of linear neutral systems described by differential equations with delayed state. The delay is assumed unknown, but constant. Sufficient conditions for delay-independent asymptotic stability are given in terms of the existence of symmetric and positive definite solutions of a continuous Riccati algebraic matrix equation coupled with a discrete Lyapunov equation.